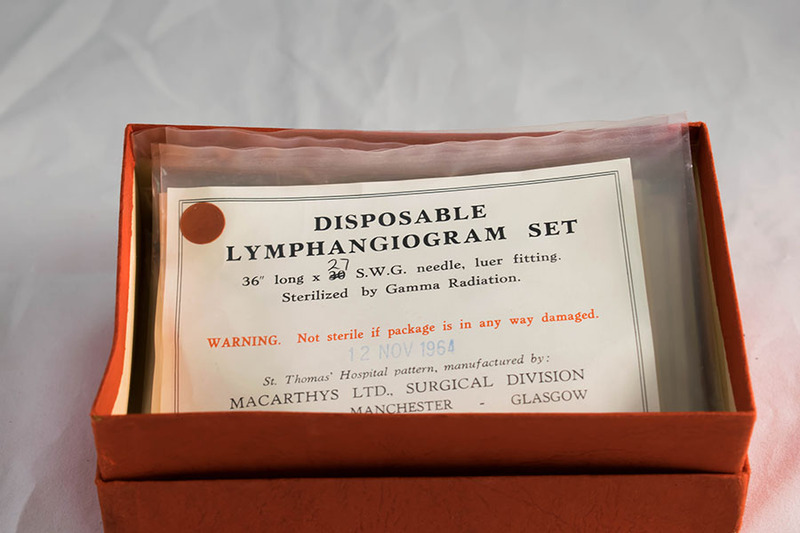 A red cardboard box containing six individually packaged disposable lymphangiogram catheter sets. 16.8cm in length, 10.5cm in depth, 5.1cm in height. 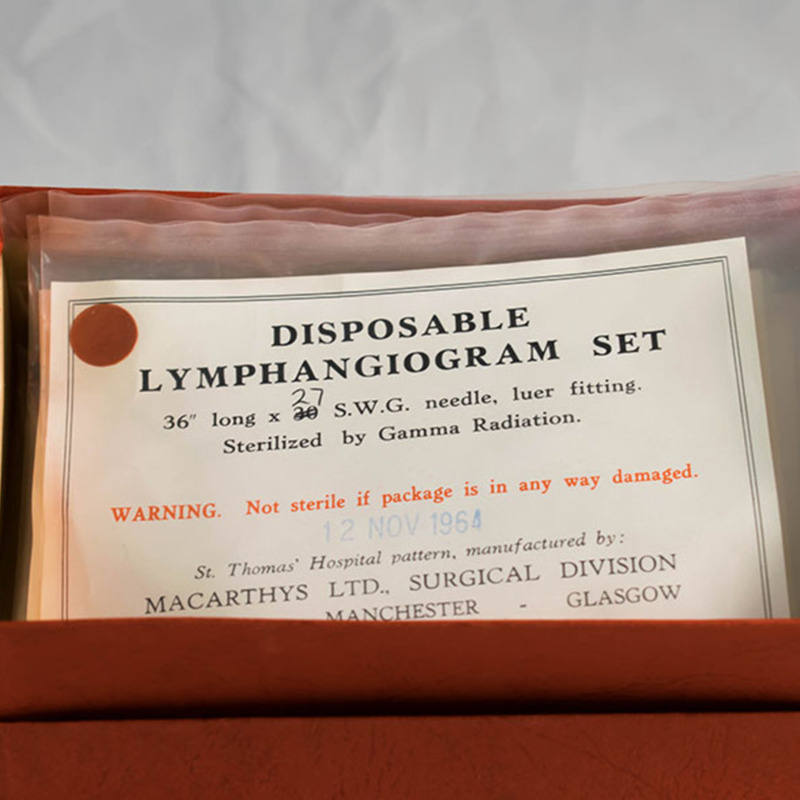 “Lymphangiogram Catheters,” Heritage, accessed April 22, 2019, https://heritage.rcpsg.ac.uk/items/show/522. Description: A red cardboard box containing six individually packaged disposable lymphangiogram catheter sets.